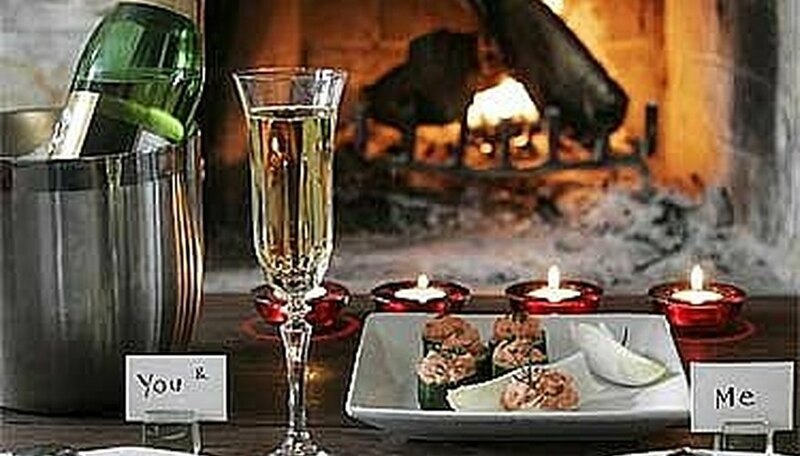 Plan a romantic evening for your parents in celebration of an anniversary, milestone or simply your love for them. Make them feel like stars and whisk them away to an unforgettable night of romance. Ask your parents to set aside an evening when you can treat them to an evening of fun. Sometimes too big of a surprise could not work out, especially if they have hectic schedules. Once they tell you a date, start planning. Choose a restaurant that your parents love, or that has a special meaning for them. If you don't know, call an aunt or uncle and ask what restaurants your parents like. If that fails, go online and search online city guides for romantic restaurants in the area. Call the restaurant and let them know that you're planning a special night out for your parents and ask them if they have any specials or any special things they do for special occasions. Order a bottle of wine or champagne in advance for them, so that it can be ready when they arrive to the restaurant. Be prepared to leave a credit card on file. Call your local limo company and order a town car for the evening. Shop around for deals and specials. Once you've settled on a company, give them your parents' address and the restaurant address. Make sure you book the limo for enough hours, and be prepared to leave a credit card on file. Call the restaurant and the limo company the day after the romantic evening to request receipts for your purchases. Contributor. "How to Plan a Romantic Evening for Your Parents." Dating Tips - Match.com, https://datingtips.match.com/plan-romantic-evening-parents-2158047.html. Accessed 20 April 2019.